Montiff's A.T.P. provides high quality adenosine triphosphate (ATP) to help support your body's energy levels at the cellular level. Adenosine triphosphate (ATP) is main energy source for cells in your body. It plays a role in such functions as muscle contraction and protein production. It is a critical chemical in your metabolism and has been called 'chemical currency' because your body's cells use it as a direct source of energy. Your body produces ATP when it burns sugars and other nutrients. And your cells consume it when they are involved in such activities as producing larger molecules or movement. When you eat, your intestine absorbs the nutrient molecules into the bloodstream. Your body's cells then burn these nutrients to free up energy and produce ATP. Your body then uses the ATP to meet its energy needs, such as producing large molecules, like hormones, or moving muscles. Every time a muscle contracts in your body, for example, whether it is through, walking, exercise, or a heartbeat, the muscles use energy. And to carry on working, your muscles require a continual supply of energy to replace what has been used. And this energy comes from ATP. The tablets in this formula are enterically coated to allow them to dissolve in the small intestine, for optimal absorption and assimilation. 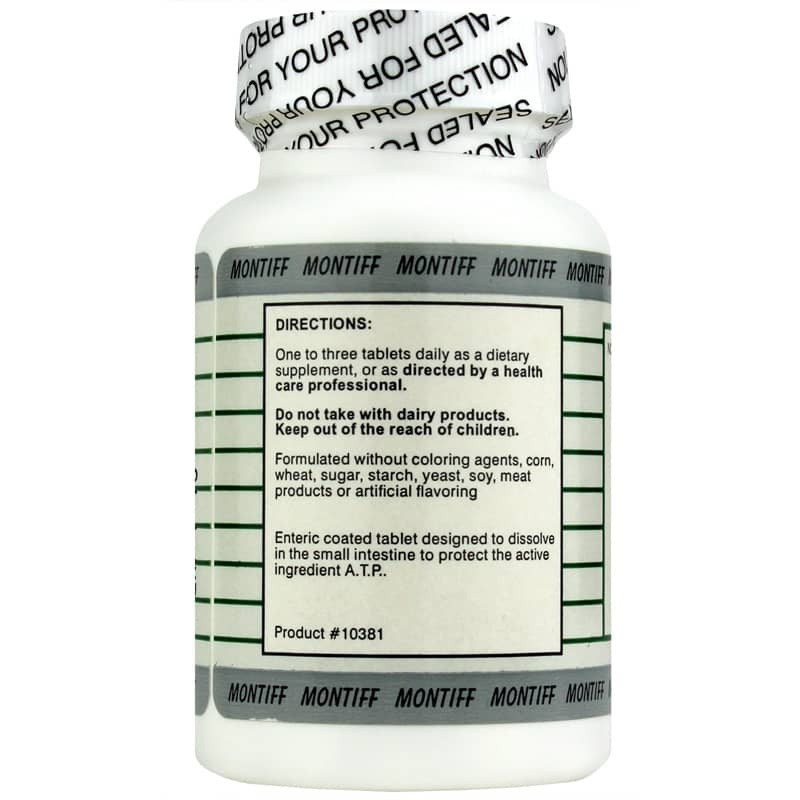 An enteric coating provides a protective layer to allow the tablets to pass through your stomach unaltered until they reach your intestinal tract. Other Ingredients: di-calcium phosphate, cellulose, vegetable stearine, cellulose acetate phthlate, croscarmellose sodium, silica, diethyl phthalate, magnesium stearate, poloxamer. Contains NO: coloring agents, corn, wheat, sugar, starch, yeast, soy, meat products or artificial flavoring.. 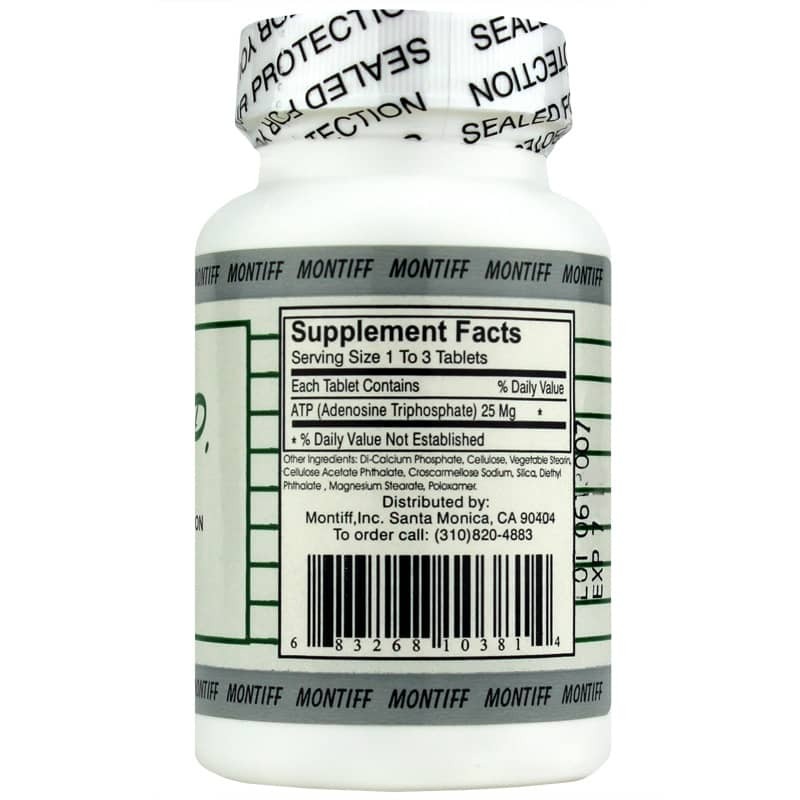 Adults: As a dietary supplement, take 1 to 3 tablets daily, or as recommended by a healthcare professional. Do not take with dairy products. Do not take with dairy products. 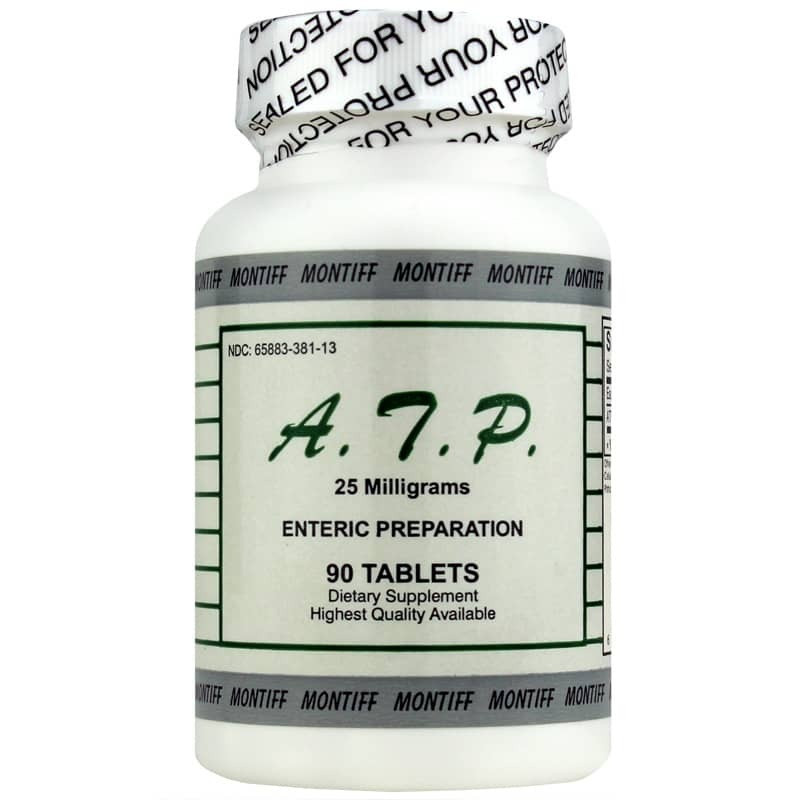 ATP is safe substance, however, it is not recommended for those with hypotension, due to possible hypotensive effects. If you are pregnant or nursing, please consult your healthcare professional before using this product. Keep out of the reach of children.